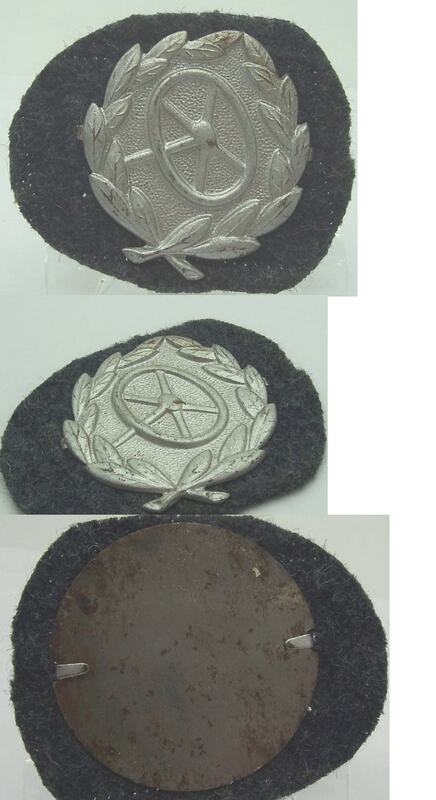 Here we have a Luftwaffe driver’s proficiency badge in silver! It is made of a die stamped, steel base that has been Silver washed and is mounted on a blue-grey wool. The obverse depicts a steering wheel on a pebbled background which is surrounded by a leaf wreath and blue-grey wool. The obverse is secured to the wool with two prongs that are folded over around plate. Nice wash remains. A great piece to add to any Luftwaffe collection!